It’s time for another Monday Cover and it’s a good one. We present to you Mr. James McCoy and his rather large frontside air over love-hip to pocket at Glenhaven. James was on a mission to land this trick and land it he did. Sick, sick, sick…. See another pic after the turn. Congratulations James and take care of that wrist. On a mission? he’s practicaly in orbit! I never see james ride but when I do (3 times a year) I always get excited. Epic shot! I didn’t even recognize the park at first. That’s a tight little pocket to land in. I would have liked to see that. Too bad there’s no photo incentive for Monday Covers, he could probably use it to pay his medical bills. No one answered the “how the hell did he get that much speed?” question. Pump or roll in? 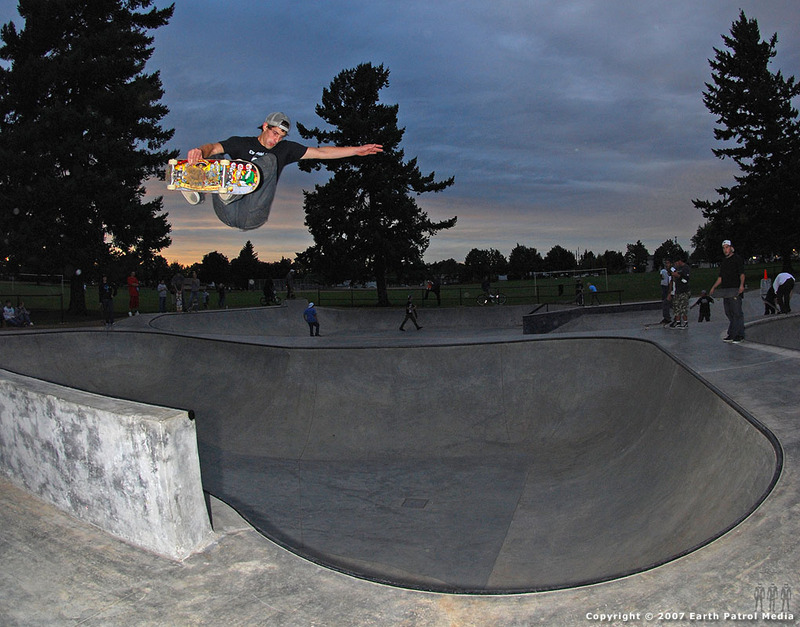 We were skating there last night and I still can’t imagine this kind of height in that bowl, not to mention landing in the pocket. Incredible. 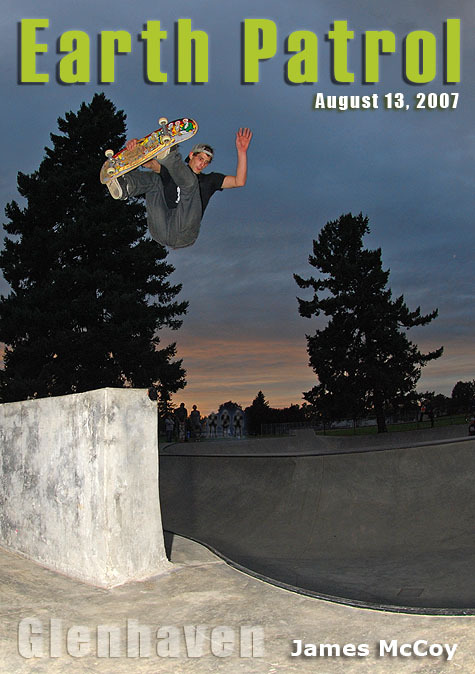 He rolled in from the left side of the deck, pumped around the bowl one time to gather speed and the rest is history. That’s my nephew. Way to go James! I’ve never got to see you skate but i hear that you are awesome. Maybe someday.